December 31, 2013 December 31, 2013 / Edmund Waldstein, O.Cist. 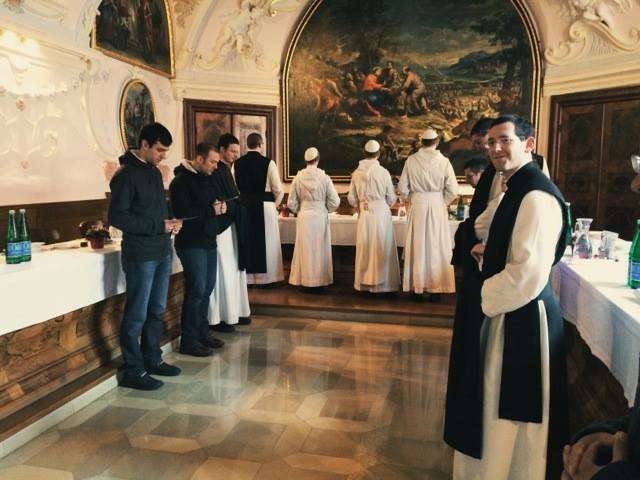 In many monasteries on the Feast of the Holy Innocents the order of seniority is reversed, and the novices rule. This custom is particularly elaborate in the Carmel, as a cousin of mine in the Carmel of Graz attests (cf. also Sackville-West), but it is also among the Cistercians. 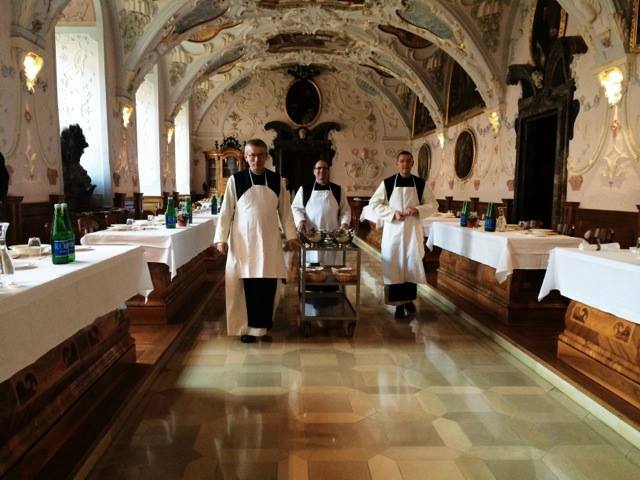 In Heiligenkreuz the reversal takes place only at lunch. The youngest novice this year gave a very amusing exhortation before lunch. 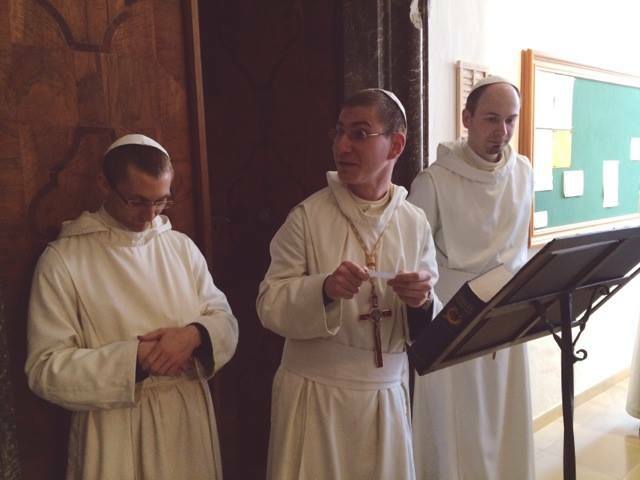 The abbot, prior, cellerar, and novice-master had to serve at table, while the sub-prior read the table reading. 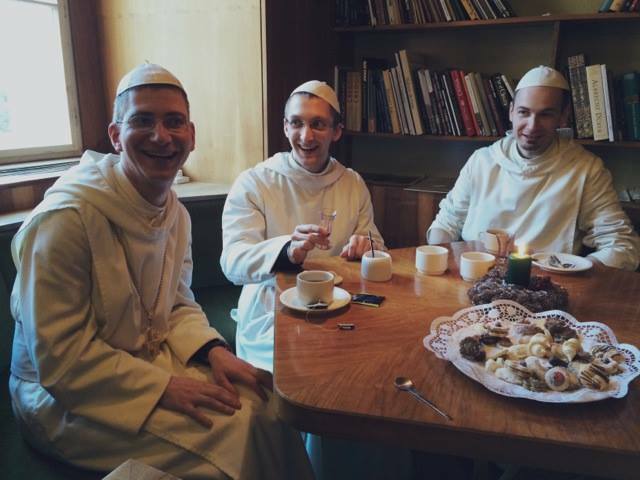 Afterwards the novices commanded that Kaffee und Kuchen be served in the recreation room.